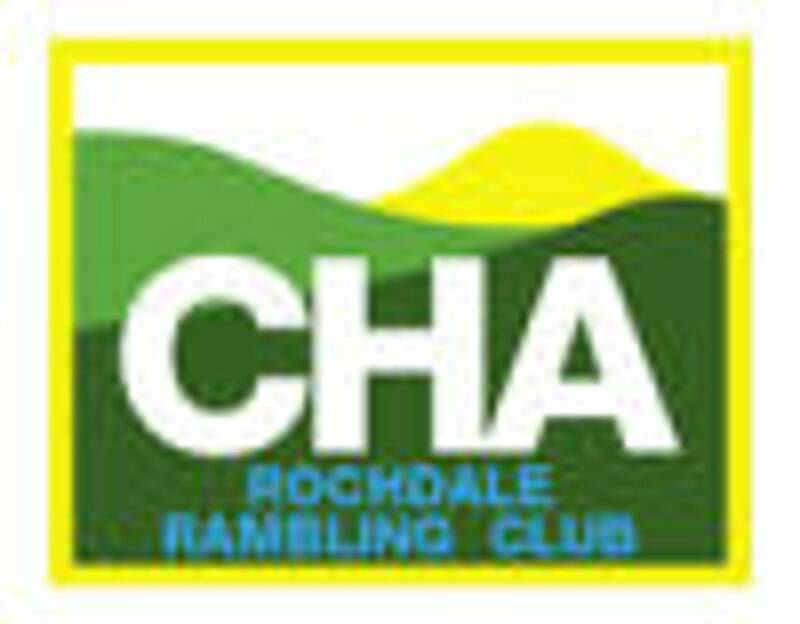 We're a Rochdale based group of over 100 members and welcome anyone who enjoys walking to join us. If you'd like to become a member give Hon. Membership Secretary Madge Ogden a ring on 01706-632283 or just turn up for one of our walks to see if we're right for you. Click on the 'Club Walks & Activities' link for start times and where we're off to next. All walks have a lunch stop so bring eats and drinks. Please wear weather appropriate clothing and walking footwear. We usually have three walks each Sunday meeting at Packer Spout at the back of Rochdale Town Hall for car share to the start of the walk. Click on 'Click Walks and Activities' to see our current programme of walks. If you have any further queries please click on the 'Contact Us' link. 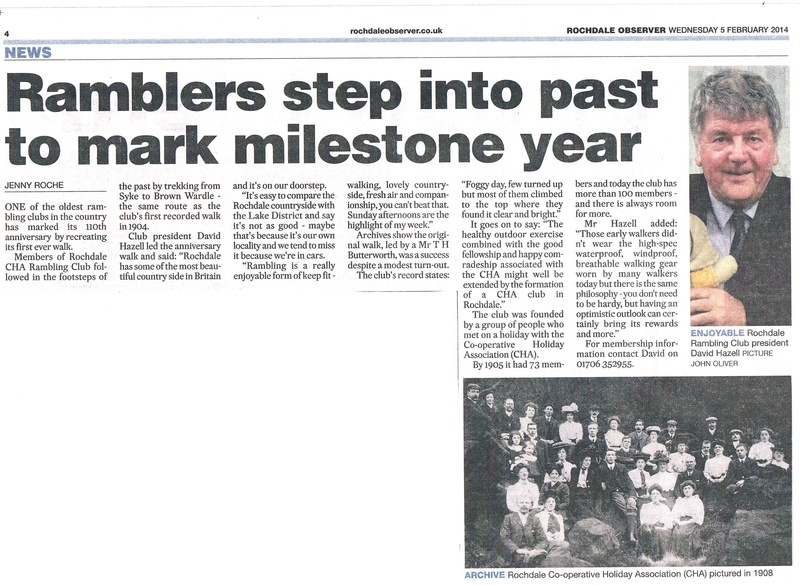 Rochdale CHA Rambling Club celebrates 110th anniversary ! ! ! 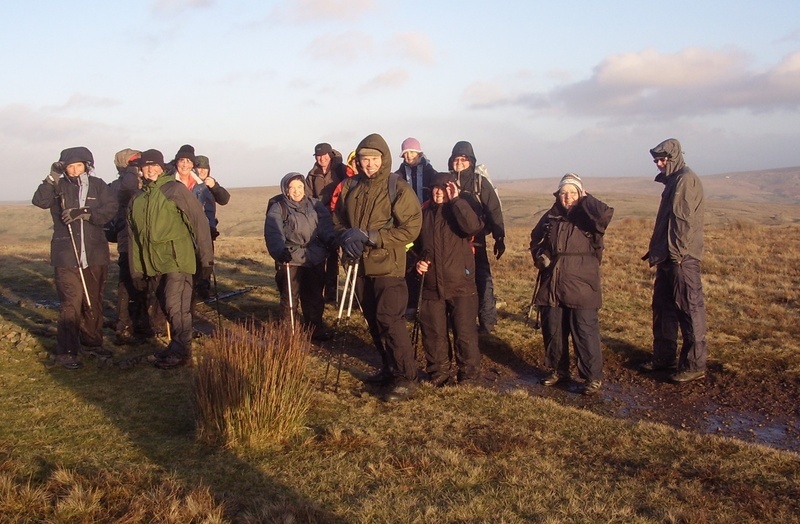 To celebrate this momentous event the Club retraced the steps of the Club's first recorded walk from Syke to Brown Wardle on 26 January 2014. Archive material describes this first walk, led by Mr T.H. Butterworth, as ‘Foggy day, few turned up but most of them climbed to the top where they found it clear and bright.’ The walkers in 2014, some 19 of them, found the weather no less favourable. Those undertaking a preliminary morning walk were drenched by constant rain but come the afternoon anniversary walk the rain defied the forecasts and held off, and the sun did actually appear, briefly. Climbing Brown Wardle the wind was both chilly and fierce so admiring the expansive view from the top, hazy on this occasion, became nothing more than a quick glance with backs to the wind. 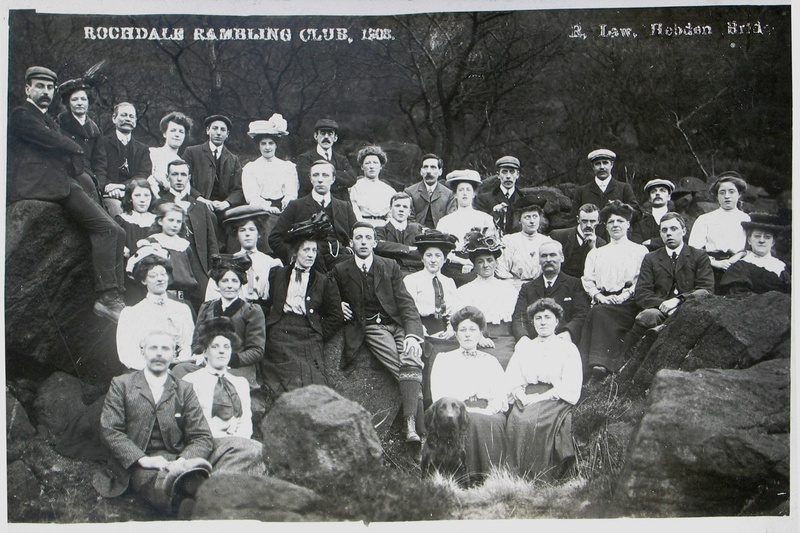 In 1904, when ladies who walked wore hats and long dresses and men could be inclined to wear collar and tie and flat cap, there might not have been as many smiles as today’s walkers had with their hi-spec walking gear. Compare the 1908 walkers with the 2014 walkers! 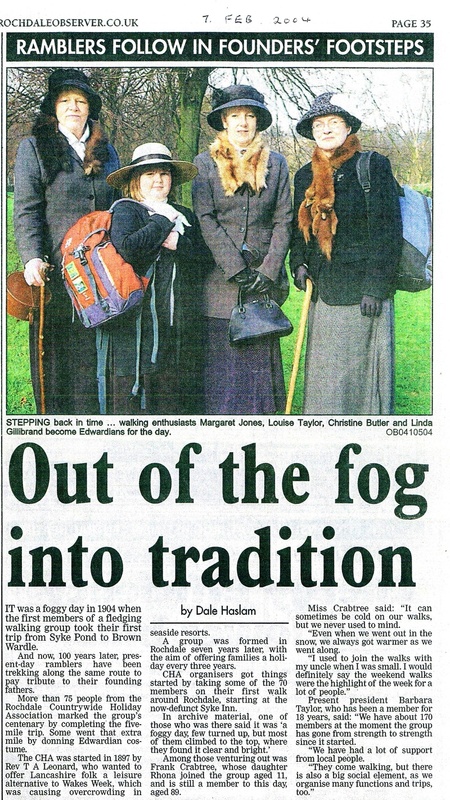 5 Feb 2014 Rochdale Observer report on our anniversary walk. Seven days to include Ffestiniog Railway excursion and trips to Gwdir Castle, Bodnant Gardens, Betyws-y-Coed and Swallow Falls.